Looking for Diesel Generators at affordable prices? Able Sales has the biggest range of generators; diesel generators, petrol generators and inverter generators at competitive prices. Our range of generators covers from small portable generators, stationary camping or home backup generators, medium sized generators for trade use to large industrial, mine-spec-ready-generators. 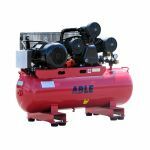 Buying a generator has never been easy, at Able Sales, our team's expert product knowledge and advice will help you through your purchasing decisions. All our generators comes with warranties and unmatched after-sales-service. 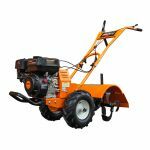 Able Sales Generators Australia has been in the industry for more than 30 years continuously developing new products as well as refining existing products to bring you strong and reliable machinery. Our line of diesel generators ranges from 3kVA to 1100kVA or more amount of kVA can be customised for your requirement. In our new line of diesel generators, features such as remote-start functionality and IoT ( internet of things ) based application are available. Real time condition monitoring and predictive maintenance of generator is available on the app of your phone. Our nationwide warehouse branches from east coast to west coast makes shipping and delivery super fast. 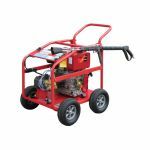 Able Sales Generators Melbourne, Able Sales Perth, and Able Sales Brisbane. Visit your nearest warehouse today! Fast delivery Australia wide, Buy online or Local Pickup!